Continuity of business operations is critical to business, and especially so during a move. That is why at Roanoke Moving we ensure the minimum of disruptions ​to your business. When you call us to quote a move, we will review your business operations to ensure we understand every aspect of your business relative to this relocation. We offer evening and weekend moves for business for this very fact that business operations need to be minimally impacted during the move. Further, we can arrange for addition moving professionals and equipment to most efficiently handle the move. We are the movers Roanoke businesses use when things absolutely must be done quickly and correctly. Commercial business have many items of high value, either in actual replacement cost or intellectual property, such as files and notes. Our Roanoke movers are professional in that they are background screened and trained to handle all types of commercial property safely and efficiently. 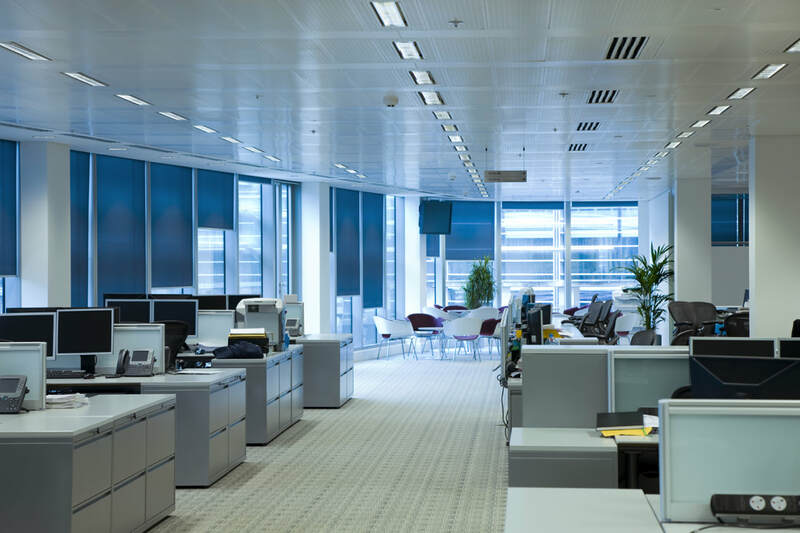 Further we provide each of our commercial customers with the assurance that your business's property will be insured up to $10M or as stated by a supplemental policy. Lastly, we offer complete secure storage solutions should your move require an short or long term storage services. We have been the movers Roanoke businesses have trusted since 2001. Roanoke Moving understands the nature of commercial (and industrial) moving involves relocating heavy equipment and furniture. We bring the manpower, experience and equipment to these jobs in order to make efficient and safe work of it. During our commercial moving quote process, we will assess the nature of each item, it's location, value, and requirement in terms of manpower and equipment. Further, we will size the crew and equipment consistent with our commercial and industrial items to further ensure we size each job adequately. Lastly we are over licensed and over-insured for all commercial moves, even ones involving multi-plant locations. We understand the importance of information technology hardware and infrastructure to businesses. Therefore, we employ IT professionals that augment our traditional moving crews to accommodate this requirement most commercial businesses have. We will provide a site survey as part of our moving quote process to capture all the critical details of your IT infrastructure relative to relocating any and all hardware, wiring, HVAC specific hardware for data centers, etc to ensure your systems are properly moved and re-installed. You can trust Roanoke moving to ensure no aspect of you business is overlooked when relocating. Roanoke Moving's commercial division has been around since our founding. As a matter of fact, our first job was a commercial move. Since then, we have moved more Roanoke business than any other mover. We provide quick and accurate commercial moving estimates usually within the same day or next day after you call. We will estimate your move within a hour or two and then only charge you for the actual time the move took to execute. We right size our crews for each commercial move so the work is done as efficiently as possible.